Question: Adam D: can i buy a 4g lime data sim for the BVI to use in my phone and modem? Can you ship me the sim before I travel? We offer a LIME BVI sim with 500MB, 1GB or 2GB data included. You will start the data upon arrival in BVI by dialing a short code from the phone. You can then insert the sim into the modem, or tablet. Set the apn to ppinternet and enjoy. You can place your order online at http://www.mrsimcard.com/lime/s-limebvi.html. MRSIMCARD to offer Vincy Mas Party Pak for visitors to St. Vincent Vincy Mas Carnival 2013. HERNDON, VA (June 03, 2013) – OOMOBILE, Inc. | MRSIMCARD begins offering 2013 Vincy Mas Party Pak for visitors to St. Vincent. The Vincy Mas Party Pak includes a LIME St. Vincent Sim Card with $10 airtime already loaded, and a voucher to be redeemed upon arrival in St. Vincent for entrance into Monday Band or the LIME H2O event. The Vincy Mas Party Pak is the perfect partner for travelers to St. Vincent. Party Pak 1 includes a LIME Sim and an H2O Party Pass. Party Pak 2 includes a LIME Sim and a Monday Band T-Shirt. Come jump with LIME at Vincy Mas 2013. Click here for Vincy Mas Package details – St. Vincent 2013. The Vincy Mas Party Pak with the included LIME SVG sim card will keep you connected to friend and family. Travelers will get their SVG LIME phone number before travel allowing them to test the sim making certain they will arrive connected. Additional funds can be added to the line at LIME Topup Shops on island or online at http://www.mrsimcard.com/topup.html. LIME is the way to go to St. Vincent.. The LIME SVG Sim features free incoming calls, free incoming text messages and LIME’s lowest rates on island. Customers can add unlimited local calls for 1 day or 7 days with the Talk 24/7 add-on, by texting TK1 or TK7 to 145 upon arrival in St. Vincent. The add-on costs $5XCD or $30XCD. Vincy Mas takes place in St. Vincent June 28-July 09, 2013. A product of CDC, Vincy Mas is the “Hottest Carnival in the Caribbean”. Enjoy a spectacular celebration of music, colour, heritage and life. Join in traditional street parties, watch fantastic calypso and steel pan performances, costume parades and much more. The St. Vincent Carnival is a wonderful time to visit the Grenadines. With a LIME St. Vincent (+1-784) Vincy Mas Party Pak there is no longer the need to secure a phone upon arrival. Customers need only turn on their unlocked phone with the simcard inserted and benefit from free incoming calls and text messages on LIME. Welcome to LIME’s Caribbean. LIME has partnered with mrsimcard.com in offering sims that are specially prepared for visitors to the Caribbean. LIME (Landline, Internet, Mobile, Entertainment) is the Caribbean’s leading telecommunications company, focused on building products and services that make Caribbean people’s lives better. LIME’s aim is to deliver the best service and the best communication services across the board, full stop. LIME is part of Cable & Wireless, one of the world’s leading international communications companies. For more information, visit http://www.time4lime.com/. Director of Public Relations, MRSIMCARD. LIME Dominica – Double Credit on Online TopUps – until 13 Dec 2012! Double Credit on Online TopUps! Announcing 100% Bonus on every Online TopUp you send! Hello Dominica!! We are pleased to announce Double Bonus on Online TopUps has been extended until 31-December-2012! Click here to send TopUp. Bonus Amount expires in 14 days. Free calls: Lime to LIME Mobile & LIME to Fixed. Free SMS to LIME Local/Regional. All local 3rd Party numbers will be excluded from this promotion. Bonus amount cannot be used for the purchase of any other products or promotion e.g. All Talk, Talk 24. Promotional offer is for all top up amount between US$5-$100. This promotion will supersede all other online promotions. Bonus top up will be exclusive of taxes. This promotion excludes LIME Roaming Prepaid customer. All calls outside of the promotion offering time are chargeable, as usual/or will use the appropriate bundles. Calls while roaming are not included. Get your simcard for LIME Dominica from mrsimcard.com. Our basic LIME Dominica sim card comes loaded with USD $5 or $25. The LIME Dominica sim features unlimited free incoming calls and unlimited free incoming text messages while you are in Dominica. We also have a sim option including data service for iPhone, iPad, smartphones and tablets. The apn for data is ppinternet. The sim card will roam worldwide, so you can insert the sim card into your unlocked GSM phone at home prior to travel for testing. Insert sim and turn your phone on. Call your LIME Dominica number from a land line to make sure it rings. LIME Dominica uses the 850Mhz/1900Mhz GSM band so make sure you have a quad band GSM phone ready for your trip. MRSIMCARD.COM pleased to offer FREE LIME St. Lucia (+1-758) “One Caribbean” Sim Card for guests at St. Lucia Jazz 2011. HERNDON, VA (April 05, 2011) – MRSIMCARD is pleased to offer a FREE LIME St. Lucia “One Caribbean” Sim Card for guests at St. Lucia Jazz Festival 2011. The Sim Card includes unlimited Free incoming calls and text messages, and low cost local rates for calls to St. Lucia and overseas. Take a break from roaming charges with LIME St. Lucia. Visitors to St. Lucia should get a sim before travel to St. Lucia by placing an order at mrsimcard.com. Just add $15 in airtime credit and your sim is FREE. Your LIME St. Lucia sim card is shipped ready to go with a local St. Lucia number. Land in St. Lucia with local phone service in your hand ready for Jazz! Armed with the “One Caribbean” sim and an unlocked GSM phone from mrsimcard.com travelers can call a cab, verify local arrangements, call their hotel, or even the folks back home. The St. Lucia Sim features free incoming calls and free incoming text messages, so let the office call you as they need… Its easy to take an office call while sitting by the pool. This St. Lucia Sim Card is the perfect addition to any Caribbean Vacation. The St. Lucia Sim Card works in 13 Caribbean Islands that include the most popular Cruise stops in the world. Visitors to the luxury resorts of the Caribbean arrive with a local number in hand. Best of all, there is no contract or long term commitment with LIME Prepaid Service. Customers can add more credit to LIME sim cards online at mrsimcard.com or purchase refills locally in St. Lucia. LIME is the Caribbean’s largest telecommunications company with a proud history in the region. LIME continues to deliver the very best communication services to governments, businesses and families in 13 Caribbean countries with one unifying promise—building, connecting and serving communities. LIME is part of Cable & Wireless Communications PLC, one of the world’s leading communications companies. For more information, visit http://www.time4lime.com/. MRSIMCARD.COM offers LIME – Roam Free – Cruise Connect Sims for Caribbean Cruisers! MRSIMCARD.COM pleased to offer LIME “Roam free” Caribbean Sim Cards to Caribbean Cruisers. Cruise the Caribbean without roaming charges. HERNDON, VA (April 21, 2009) – OOMOBILE, Inc. | MRSIMCARD has rolled out the Caribbean Cruise Connect Sim Card Product. This product is targeted at Caribbean Cruise-ship passengers. With this sim and an unlocked GSM phone from www.mrsimcard.com cruise passengers can call a cab, a local travel agent about tour arrangements, a restaurant for reservations…. all at local rates. Best of all the sim offers free incoming calls and free incoming text messages, so loved ones at home, or even the office can reach you. There is nothing like calling ahead to the docks to see that your tours are arranged and the driver is waiting to take you on your pre planned shore excursion. The service is based on the LIME Roam Free which features no roaming charges while on the LIME network in 14 Caribbean Islands. The sim operates at the local rates in all the countries listed . ROAM FREE applies in LIME Caribbean countries: Anguilla, Antigua & Barbuda, BVI, Barbados, Cayman Islands, Dominica, Grenada, Jamaica, Montserrat, St Kitts & Nevis, St Lucia, St Vincent & Grenadines, Turks & Caicos & Trinidad & Tobago. Mrsimcard.com has recently begun offering the LIME Caribbean sim card and airtime refills in North America. Visitors to the Caribbean Islands will now be able to purchase LIME Sim Cards for only $29.99 prior to traveling to the warmth of the Caribbean. There is no longer the need to secure a phone upon arrival. Customers need only turn on their phone with the simcard inserted and benefit from free incoming calls and text message on LIME. Welcome to LIME’s Caribbean. LIME has partnered with mrsimcard.com in offering sims that are specially prepared for visitors to the Caribbean. Sim Cards purchased from MRSIMCARD have an extended shelf life of 12 months to facilitate the travel periods of users traveling to and from the Caribbean. 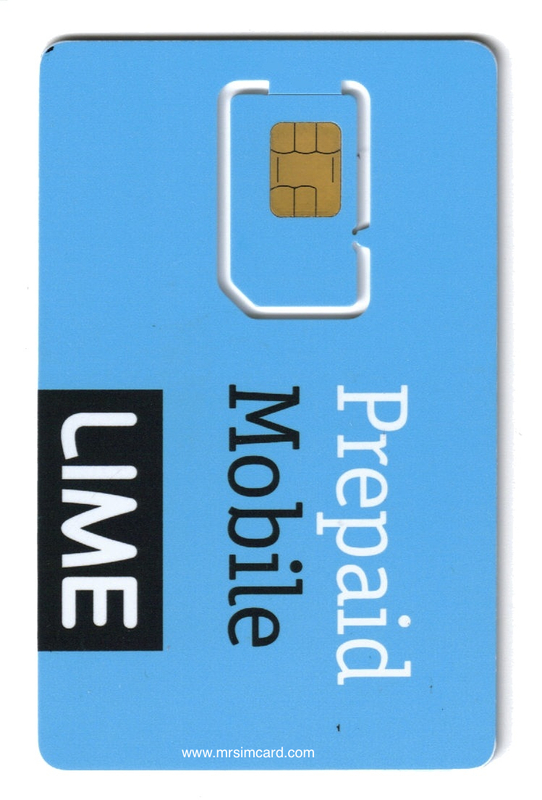 Customers can call OOMOBILE | MRSIMCARD at +1-703-953-2272 to refill their LIME Prepaid Sim and even to send refills to friends and family back home. MRSIMCARD.COM offers LIME St. Lucia (+1-758) – Roam Free – Caribbean Sims! MRSIMCARD.COM pleased to offer LIME St. Lucia (+1-758) “Roam free” Caribbean Sim Cards. HERNDON, VA (April 23, 2009) – OOMOBILE, Inc. | MRSIMCARD is now offering the St. Lucia LIME Caribbean Sim Card. This Sim Card is the perfect addition to any Caribbean Vacations. The St. Lucia “Roam Free” Sim Card works in 14 Caribbean Islands that include the most popular Cruise stops in the world. Visitors to the luxury resorts of the Caribbean may arrive with a local number in hand. Armed with the “Roam Free” sim and an unlocked GSM phone from www.mrsimcard.com travelers can call a cab, verify local arrangements, call their hotel, or even the folks back home. The “Roam Free” Sim features free incoming calls and free incoming text messages, so let the office call you as they need… Its easy to take office calls while sitting by the pool. Purchase LIME St. Lucia (+1-758) “Roam Free” Sim Cards for only $29.99 prior to traveling to the warmth of the Caribbean. There is no longer the need to secure a phone upon arrival. Customers need only turn on their phone with the simcard inserted and benefit from free incoming calls and text messages on LIME. Welcome to LIME’s Caribbean. MRSIMCARD.COM – Begins offering LIME Caribbean “Roam free” Sim Cards for Sale in North America! HERNDON, VA (April 18, 2009) – OOMOBILE, Inc. | MRSIMCARD has begun offering the LIME Caribbean sim card and airtime refills in North America. Visitors to the Caribbean Islands will now be able to purchase LIME Sim Cards for only $29.99 prior to traveling to the warmth of the Caribbean. There is no longer the need to secure a phone upon arrival. Customers need only turn on their phone with the simcard inserted and benefit from free incoming calls and text message on LIME. Welcome to LIME’s Caribbean. Cruise ship passengers benefit greatly because the LIME sim is a roam free sim. Just purchase one simcard for use in all the cruise ports of call. There are no roaming fees while on the LIME network throughout the Caribbean. Your sim operates the local rates in all the countries listed . ROAM FREE applies in LIME Caribbean countries: Anguilla, Antigua & Barbuda, BVI, Barbados, Cayman Islands, Dominica, Grenada, Jamaica, Montserrat, St Kitts & Nevis, St Lucia, St Vincent & Grenadines, Turks & Caicos & Trinidad & Tobago.